ArtPrize Link Sessions, presented by Haworth, provide ArtPrize Artists with the opportunity to make new connections, get feedback on their work, learn about a variety of art institutions, and even get tips on how to perfect their elevator pitch. Intended to catalyze professional advancement opportunities, Link Sessions can be used for portfolio review, conceptual presentation and feedback, or informational interviews. Over the last four years, the Link Sessions program has resulted in numerous success stories of ArtPrize Artists developing lasting relationships with leaders in the art and design community. 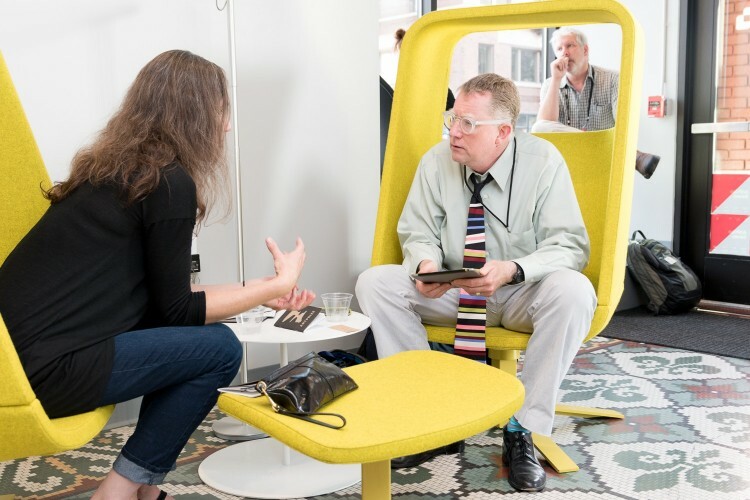 For the 2016 iteration of Link Sessions, more than 40 contemporary art and design professionals will volunteer their time to consult and advise ArtPrize Eight Artists. These consultants are recognized experts, curators, community organizers, envelope pushers, activists, artists, theorists, gallerists, and entrepreneurs. Get to know them below! Are you an ArtPrize Eight Artist? Interested in meeting with one of the consultants above? Check your email for a link to the application form. Apply by writing a brief statement about how you would use your 20-minute session, and be sure to indicate your area of profession. Applications will be reviewed by the ArtPrize Exhibitions team, and successful applicants will fill the sessions on a first-come, first-served basis. The deadline for applications is Friday, September 9 at 5 p.m. EDT. This year’s Link Sessions are generously being hosted at Studio Blue Interphase Interiors, located at the corner of Oakes and Commerce in the heart of downtown Grand Rapids.